Majority of us don’t know about different fields that are existing and also we do not put much effort to know about those industries. It is not our mistake and it is due to the lack of awareness in those fields. In this article, we are going to discuss a field that is not new, but it is not known to people as like other fields. It is none other than ERP. Headerp is an abbreviated term for enterprise resource planning and in general, a company has different systems such as back office, planning, distribution, manufacturing, shipping and accounting. The role of erp application is to integrate all these systems and functions into a single system and serve the needs of different departments within the enterprise. Most of us say it as software, but it more of methodology than software and incorporate several software applications into a single integrated interface. This application software has the ability and capability to bring significant changes in the company business and it tinkers the work flow and alters the long standing process of business firms. It brings tremendous advantage in the business and all the departments can easily share the information because in this application all systems are joined together. It reduces the need of carrying large inventories and speeds up the automation process by its automating process and workflow. With the help of single platform, the company can manage the wide range of company resources. HeadERP system use is based on the concept of all business functions and the business functions ultimate goal is to generate a return from the enterprise and in order to achieve the goal, the organization must have the efficient to produce goods and services that are eye caching to consumers and also in turn it should generate sales. The last three lines mean that managing every component has to do with controlling some production costs, costs of raw materials, and even the expenditures that are incurred in collecting customer orders and delivering those products to customers in a timely manner. From this point of view, we can say that the effective ERP system not only has the capacity to assist in arranging the production process, but also to control each and every cost from the selection of raw materials to the mode of delivery of the finished product to the customer. You may be wondering why this guy is saying about the ERP instead of saying about the careers in erp. As I said above, some awareness is required in ERP and its benefits so for the purpose of awareness, I mentioned those details. From the above lines you would have come into a conclusion about the erp scope and its benefits. So when you search for a career in Erp industries, it is damn sure that you will get the job soon with good salary and benefits because many organization need people who are well verse in this application. So there are lots of scopes available in this field and try to utilize the chance. Outsourcing and consulting companies like Headerp solution pvt ltd provide Erp recruitment in different industries and also they act as a best sap consultant. When it comes into recruitment, you need to identify a qualified consultancy that can assure you job assurance and at HeadERP solutions Pvt Ltd, we recruit people in different domains throughout India and other countries. We have been dealing with different companies and have recruited candidates in all those companies. We also recruit candidates through contract staffing and as a contact staff, you can gain experience and it would be a chance for you to get a step into your future. HeadERP solutions Pvt Ltd P have reputed human resource consultants who can guide you and place you in our respective clients concern. We strive hard to meet your expectation and we recruit you as either temporary or permanent staffs. Many professionals have been benefited through our company and we have helped their careers to bright shine. We are your HR vendor and meet your needs and provide professional services and HR solutions in a dedicated way. HeadERP is an established outsourcing and consultancy company delivering extended offshore development services and HR Solutions of any complexity to clients worldwide. Being in IT business for over years now HeadERP solutions Pvt Ltd has a strong team of skilled and experienced IT and HR experts. We have dealing with esteemed customers and companies of all sizes that ranges from start-up companies to large enterprises and they realize that they need a solution to generate their revenue streams, establish communication channels or streamline business operations. We are comprehensive outsourcing and consulting firm and provide different outsourcing services. We understand our clients' business requirements and provide them the dependable solutions through our domain knowledge and proven methodologies. HeadERP solutions Pvt Ltd deliver high quality results in a cost-effective manner to maximize your competitive advantage and productivity. We focus on quality and endeavour services to clients from different geographical locations and provide value added solutions to them. Outsourcing has reached to its peak now and many people are getting job due to outsourcing and before going into the article, let us discuss some few facts of outsourcing. First, what is outsourcing? It is the companies provide outsourcing services to other companies and many large companies outsource their various jobs to other firms that are specialized in each service. In simple terms, we can say it is the process of contracting to a third party through contractual agreements. Now, let us see the benefits of the HeadERP Solutions pvt Ltd. Cost saving is what you can benefit from it. In one or other way it reduces the overall cost, but in quality in work. You can focus on core business and can improve your quality with a new service level agreement. It is a major strategic for most of the companies because it involves cost savings against the consequences of a loss in control over the product or service. Manufacturing of components, computer programming services, tax compliance and other accounting functions, training administration, customer service, transportation of products, benefits and compensation planning, payroll, and other human resource functions are what the large companies approach outsourcing companies to do. A new trend in HeadERP Solutions pvt Ltd is employee leasing and due to outsourcing, many people secure jobs and the vendors recruit, hire, train and pay their client’s employees and also provide other benefits like PF and health coverage. Álvaro de Campos was one of Fernando Pessoa's various heteronyms, widely known by his powerful and wraithful writing style. Campos' works may be split in three phases: the decadentist phase, the futuristic phase and the decadent (sad) phase. He chose Marinetti and Whitman as masters, showing some similitarities with their works, mainly in the second phase: hymns like "Ode Triunfal" and "Ode Marítima" praise the power of the rising technology, the strength of the machines, the dark side of the industrial civilization, and an enigmatic love for the machines. 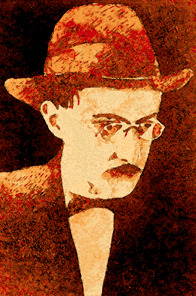 The first phase (marked by the poem «Opiário» shared some of its pessimism with Pessoa's friend Mário de Sá-Carneiro, one of his co-workers in Orpheu magazine. In the last phase, Pessoa drops the mask, and reveals through Campos all the emptiness and nostalgy that grew during his last years of life. He lived in Barrow-in-Furness, Cumbria, England for a time where he studied Ship Engineering (of which Pessoa wrote a poem about) and later, in 1922, he lived in Newcastle-on-Tyne (currently Newcastle upon Tyne).